This pocket reference and revision guide is a must for all medical students and junior doctors preparing for major surgical exams or needing a rapid reminder during a clinical attachment. Thoroughly updated, this new edition has been re-ordered by body systems with key surgical presentations ordered alphabetically within each section for ease of reference. Now with important new topics including bariatric surgery, endovascular techniques, nutrition, SIRS and sepsis, Rapid Surgery presents up-to-date knowledge succinctly for easy and rapid access to information. 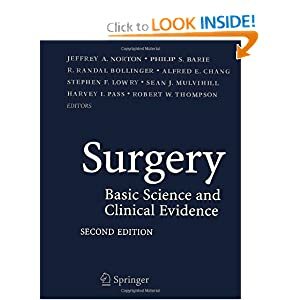 Much anticipated, the Second Edition of Surgery: Basic Science and Clinical Evidence features fully revised and updated information on the evidence-based practice of surgery, including significant new sections on trauma and critical care and the often challenging surgical care of unique populations, including elderly, pediatric, immunocompromised, and obese patients as well as timely new chapters on the pre- and post-operative care of the cardiac surgery patient, intestinal transplantation, surgical infections, the fundamentals of cancer genetics and proteomics. Also new to this edition are discussions of electrosurgical instruments, robotics, imaging modalities, and other emerging technologies influencing the modern practice of surgery. Clinically focused sections in gastrointestinal, vascular, cardiothoracic, transplant, and cancer surgery enable the surgeon to make decisions based upon the most relevant data in modern surgical practice. 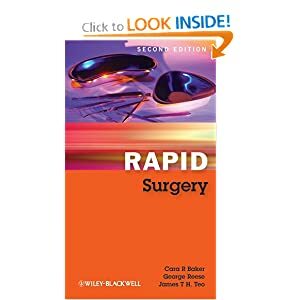 The text is enhanced by more than 1,000 illustrations and hundreds of the signature evidence-based tables that made the first edition of SURGERY an instant classic.